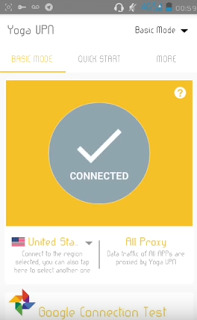 MTN free browsing cheat is out and working currently on Yoga VPN in South Africa. The cheat is working flawlessly without any speed limit or frequent disconnections, i.e: it's blazing unlimited. Though, here in Nigeria, MTN free browsing cheat is currently working on Psiphon vpn, but it doesn't work on all MTN sim cards. I will quickly drop the settings and requirements to use MTN unlimited free browsing cheat on Yoga VPN in South Africa. >> Tap on the "connect" button and wait for few minutes and it will be connected, just minimize and launch your browser and start browsing for free. That's all friends. Happy browsing!!! Tried it but couldn't connect. Even tried the Airtel freebasics. They won't connect. I have trying this mtn cheat not work on my phone..... why? Read the post very well. This is for South Africans and not for Nigerians.